Who is allowed to offer short-term vacation rentals? After a year of controversy and debate, the SF Board of Supervisors finally passed legislation regulating rentals under Airbnb, VRBO, HomeAway and other vacation rental platforms. Although short-term vacation rentals have long been illegal in San Francisco, the old law was vague, widely ignored, and rarely enforced. 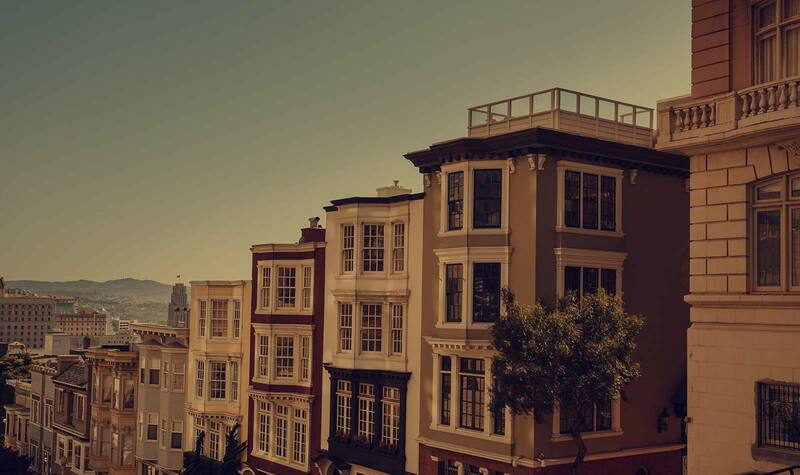 The new law makes vacation rentals in San Francisco clearly illegal in most situations, and empowers neighbors, tenants rights advocates, and other interest groups to take the lead in shutting down illegal vacation rentals. Here is a summary of the key provisions of San Francisco’s new short-term vacation rental law. Q: What types of rentals are covered by the new law? A: The new law applies to rental of residential dwellings (including single-family residences, condominiums, and apartments) for less than 30 days. Q: Who is allowed to offer short-term vacation rentals? A: Owners who use their home as their principal residence least 75% of the time are allowed to rent it out the other 25% of the time. Rentals cannot begin until the owner has occupied for at least 60 continuous days, the unit has been registered as a vacation rental, and insurance requirements are satisfied. Tenants must meet the same requirements, get their landlord’s consent, and charge no more rent than they are allowed to charge subtenants under the SF Rent Control Law. Q: Who is prohibited from offering short-term vacation rentals? A: A property that is not used as someone’s home at least 75% of the time cannot be offered for short-term vacation rental. This means that a person cannot offer more than one SF home or apartment on airbnb or another hosting platform, and cannot have a property that is used for short-term rental all or most of the time. And businesses are not allowed to offer short-term vacation rentals; the home occupant must offer and administer the rental herself. Taken together, these two provisions signal the end of people using short-term rentals as a business in San Francisco. Q: How do you establish that the home you are offering for vacation rental is your primary residence? A: Residency is demonstrated with by driver’s license, voter registration, utility bills, homeowners tax exemption, or similar items. Q: How do you prove you occupy a short-term vacation rental 75% of the time? A: You must live in the unit for 275 days in the calendar year in which the vacation rental occurs. If you moved in recently, you must show residence for at least 60 continuous days, plus 75% of the total days since move in. You must maintain occupancy records for at least two years. Q: Can a building’s CC&Rs, Bylaws, TIC Agreement prohibit all short-term vacation rentals? A: Even if you satisfy all the requirements for short-term vacation rentals, you still cannot do them if your building’s CC&Rs, Bylaws, TIC Agreement, or rules prohibit it. Q: Are short-term vacation rentals allowed in Ellis Act buildings? A: No rentals (short or long term) are allowed for two years after a building has been withdrawn from rental use under the Ellis Act. Beginning in year three, units from which no tenant was evicted can be used as short-term vacation rentals if the withdrawal occurred before November 1, 2014; for buildings withdrawn after that date, short-term rental will be prohibited for five years. Units where a tenant was evicted under the Ellis Act may be subject to ongoing Ellis Act restrictions for up to 10 years. Consult with a qualified landlord-tenant attorney for advice. Q: What type of insurance is required for short-term vacation rentals? A: An owner or tenant offering his/her home as a vacation rental must carry at least $500,000 in liability insurance that specifically covers losses arising from short-term rental activities, unless equivalent insurance is provided by the hosting platform through which the rental is arranged. Q: What happens if you violate the short-term rental law? A: If you are discovered illegally offering a short-term vacation rental, you will get a notice from the Planning Department requiring you to stop by a certain date. If you do not stop by that date, you will be prohibited from all short-term rental activity for a year, and can be sued by the City, other building owner and tenants, nonprofit housing organizations, and homeowners associations, who will be able to recover penalties of up to $1,000 per day plus attorney fees. Criminal prosecution will also be possible. Upon request, hosting platforms such as Airbnb and VRBO must remove listings for properties being offered in violation of San Francisco law. (Read the full final version of San Francisco’s new short-term vacation rental legislation). Andy Sirkin has prepared close to 3,000 occupancy-based TIC agreements for properties of every size and type, and continues to assist in the vast majority of these transactions in California. Andy has owned 11 TIC interests in San Francisco, of which four have converted to condominiums, and he currently owns three SF TICs (one of which is his SF home). He has lived in TIC buildings for more than 15 years. He has also developed TIC projects, managed TICs for himself and others, and operated a real estate brokerage specializing in TIC transactions.